Brighton 16mm film transfer to digital. Mid April I will be shooting In Brighton. The camera. 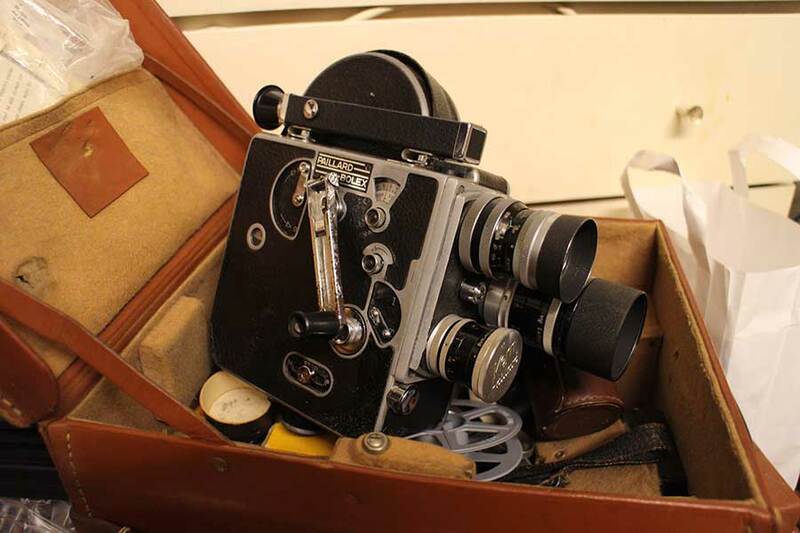 The 16mm camera that I will be shooting on is the fantastic Paillard Bolex 16mm film movie camera. This camera in a very hands on affair. When shooting with the Bolex I have to use a separate light meter for exposure. To Focus the camera requires grabbing focus then switching the lens to the shooting position. If the film transport is clockwork. And requires the user to wind the camera up on a regular bases. 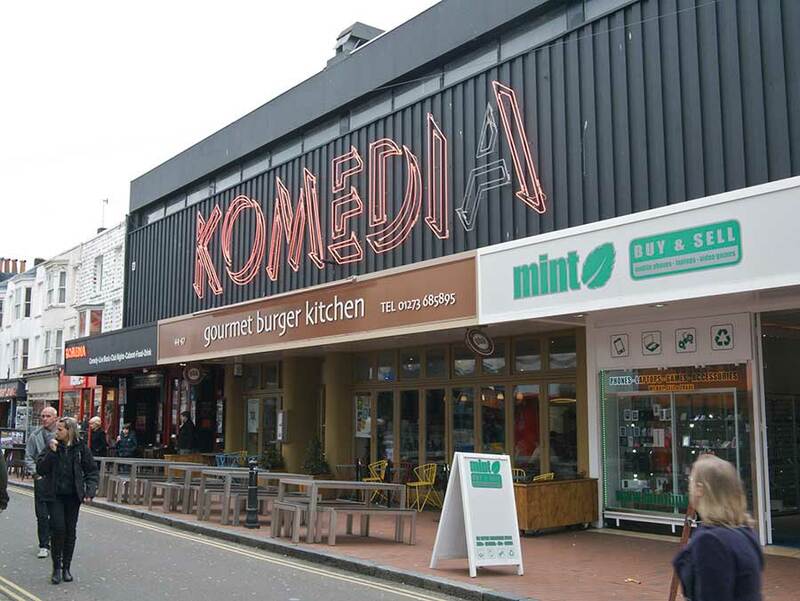 The Brighton 16mm film transfer shoot will take place in the following locations. North Lanes. As picture above. Brighton Pier. Brighton Marina and parts of Hove. 50mm. 28mm. Both Kern Paillard glass made in Switzerland. Kodak Vision 3 500T 100ft reels x 3. This film is Tungsten corrected. So because we will be shooting outside for the whole shoot. An 85a warming filter will be required to balance the colour correctly. We will be scanning the 16mm using our custom built HD scanner. LED cool running diffused light. No hot spots in the picture. Our Brighton 16mm film transfer method to computer. Is via Black Magic design HDMI or SDI. Film is taken into the computer using Black Magic software called Media Express. We use 2 video editing packages. Apple FCP-X and Adobe Premier CC. For colour correcting the digitised 16mm cine film. We use Black Magic Da Vinci Resolve. Once the Brighton shoot is completed and the 300ft of 16mm film has been scanned and edited. I will be posting the results on our Vimeo site.